Will update more by the end of the day! Damn work! Click on all the pictures for a clear view of them. 1. 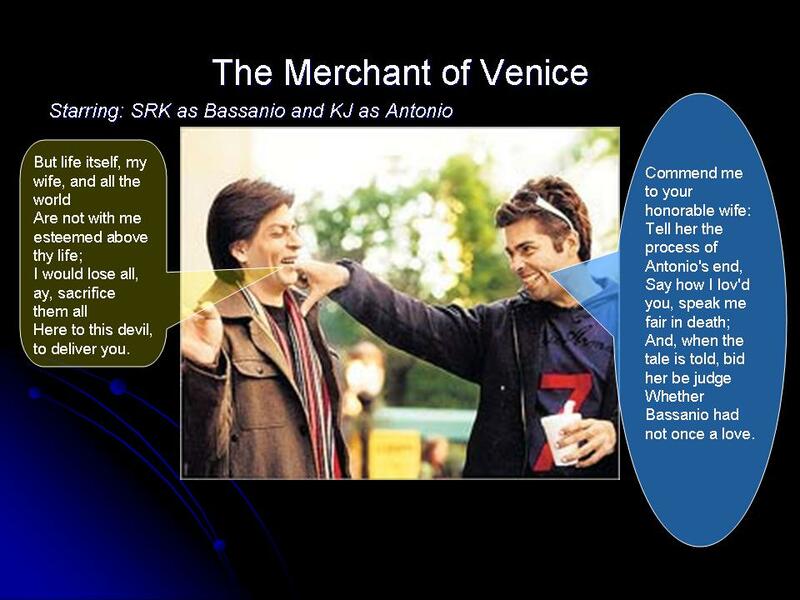 Play:The Merchant of Venice. 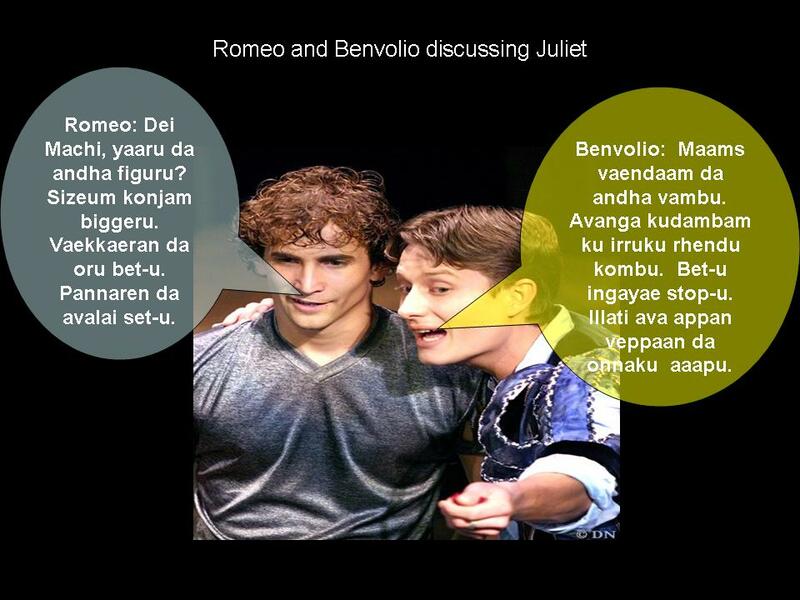 Context: Romeo and his cousin Benvolio (being Montagues) see Juliet in the Capulet party. Romeo takes interest in the “forbidden fruit”. Here’s an exchange in the quintessential TR style. Romeo : Dude, who’s the “figure”(chick)? “Size” is slightly bigger. I’ll keep a bet. I will “set” her . 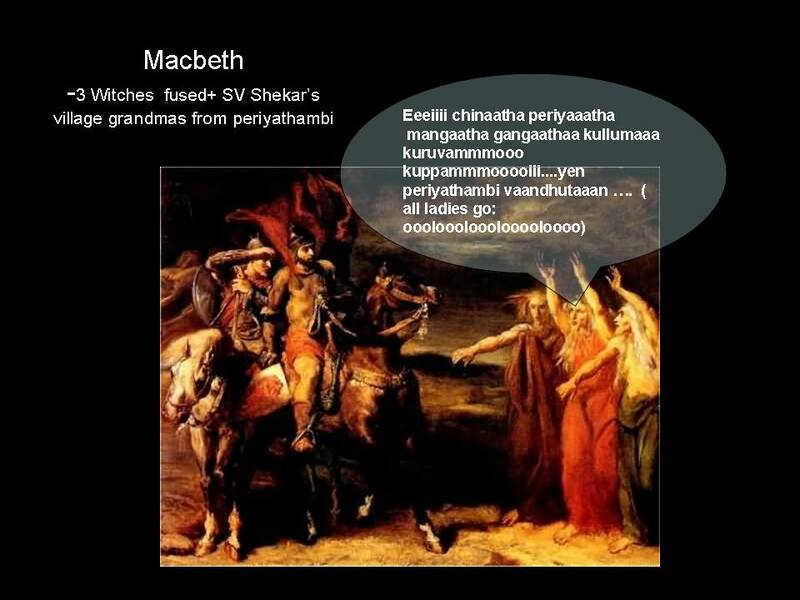 Benvolio : Dude, you shouldn’t dare. Her whole family has horns. Stop the bet right here. Otherwise her father will screw you where it hurts. 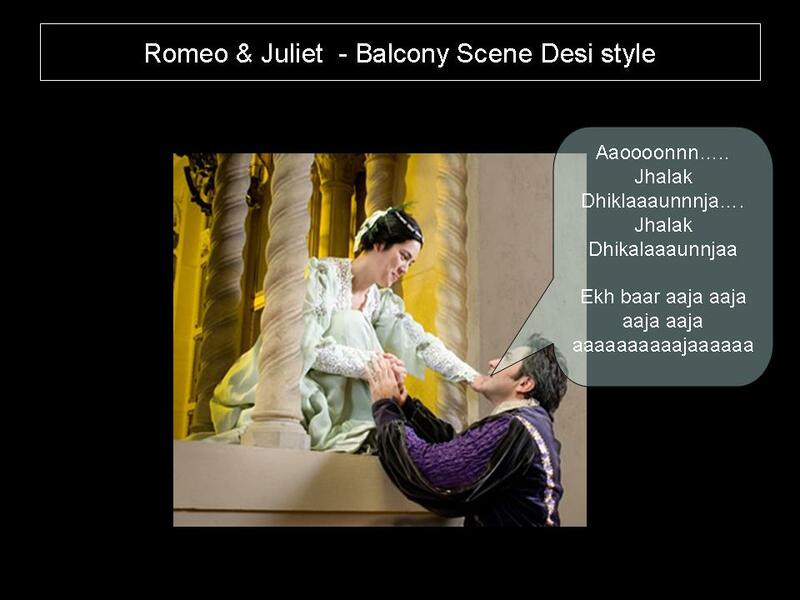 context: balcony scene , where they’re koochi-kooing- desi style!